Spring comes slowly to Camas Meadows. 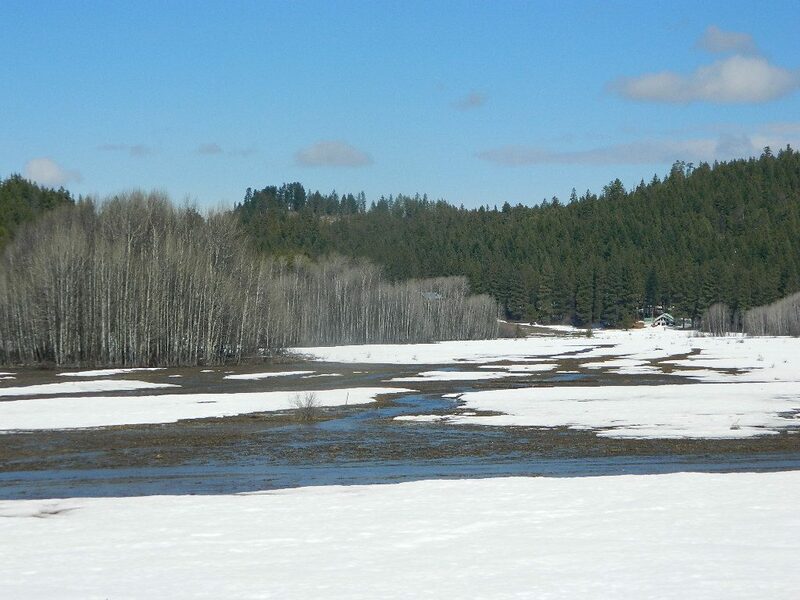 This photo was taken on the last day of March and Camas Creek had just begun to run, signaling the spring melt. It starts with a new warmth in the sunlight as it touches your face and the dripping of icicles on the eves. Then the snow begins to look sunken was water starts running deep underneath, feeding the creek. 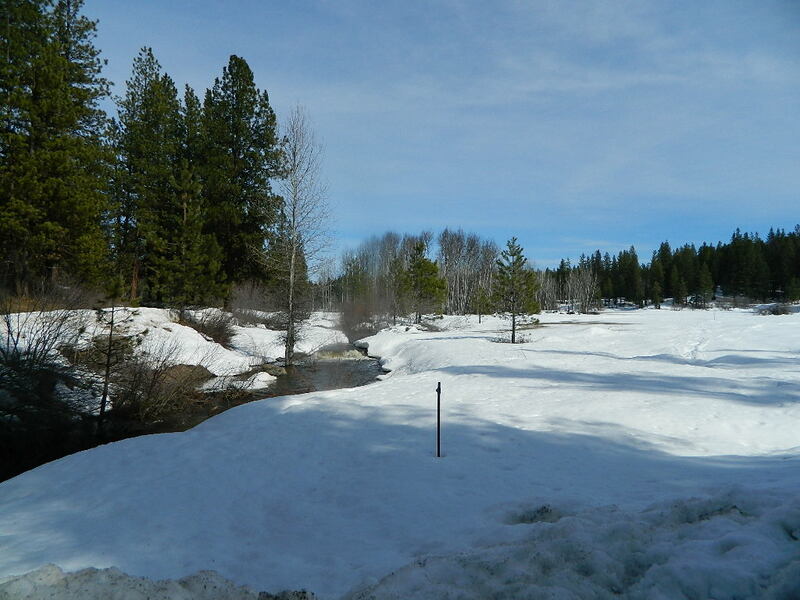 Soon, the rushing waters melt the snow above and Camas Creek is pouring over the small waterfall at the top of the hill. Then patches of bare earth appear on the meadow and soon a blush of green as tender shoots stretch up through the soil. 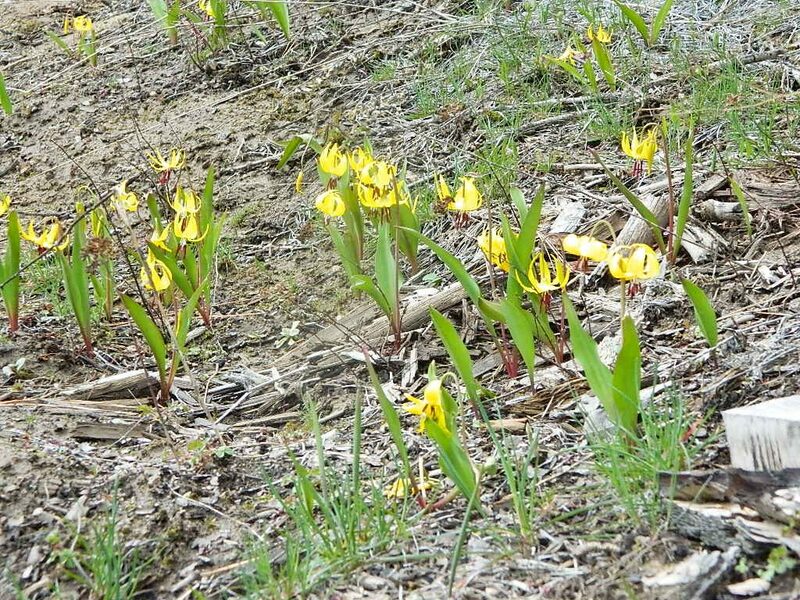 Before the snows have completely receded, Pine Lilies bloom on the sunniest hillsides proving that all is not dead beneath the frozen ground. I don’t think it was accidental that Christ died and rose in the Spring. As the world around us is proving that winter is not forever and the darkness has not won, God Himself showed His great love. He walked and died among us and then rose, bringing the impossible miracle of spring to the hardened ground of the human heart. Resurrection out of hopelessness, beauty from ashes, and new life from the very mouth of the grave. Let me introduce you to a young woman who will be interning with us at camp this summer. Not only does she have a heart for the Lord, Jenna is also a talented writer and has put her experience at camp into words in a beautiful way. Here is Jenna’s story. When I think about places that have made an impact on my life, Camas is one of the first places that comes to mind. It not only helped lay a foundation and shape my relationship with Christ but it also helped shape my identity and eventually the woman I saw myself as. My first year at Camas was life changing for me, I had never felt so welcomed and so comfortable somewhere in my life. I had never felt so absolutely free to be myself and not have to worry about anyone else. For an entire week I got to make friends, play night games, worship Jesus, and I didn’t have to worry about any of the troubles and pain that were behind me in my life back home. I was surrounded by people who so intentionally poured into me and made me feel loved. My father and I have not had a healthy relationship growing up, he is an alcoholic and has been distant for most of my life, but that week I felt a FATHER’S love. His love radiated from my counselors and everyone there and for the first time, I felt like I mattered, like the “little things” I was going through at the time weren’t little things at all. I was also struggling with being bullied around the same time I started going to Camas, and being able to make those healthy friendships helped me and my identity in more ways than one. I came home and through my weeks of post camp depression I told my mom that I had to go back next year, no matter what. For the next 6 years I spent every summer at Camas, whether I was living in California or Washington one thing was for sure, come summer I’d be at Camas for a week. Camas became a spiritual home to me. It was a place where you felt comfortable, a place where you could be yourself without having to worry about being unaccepted, a place where you knew that no matter what, when you go there you will feel loved. Home is family, and Camas became my family. Home isn’t four walls and a white picket fence, it is the people you laugh and cry with and the old back porch you do it on. It’s the thrill in being thrown in the lake by Chaco and the sound of Scruffy laughing in the distance at a campfire. I have grown to call Arkansas home, and have been blessed with an amazing community and church to grow with. But Camas will ALWAYS be a home to me. I can’t tell you how many times after I moved 2000 miles away I would look back at old pictures from camp and it would help get me through the hard times. I thought about the years I’ve spent there and the relationships I made, the people that loved me no matter what. The joy of Jesus flows from that place, even when you aren’t there. 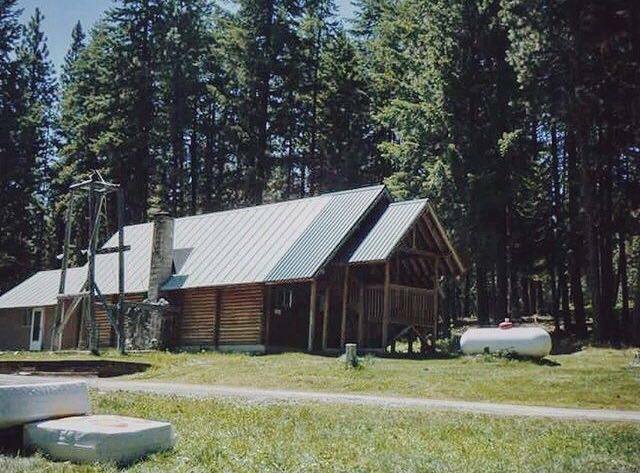 The simple thought of a memory from camp can make probably most of us smile. And that my friends, is because of Jesus. It is because this is the place where our souls found their true home, where we felt the Father’s love and peace for the first time. So Camas, being the place where my soul and my body found its home, will forever play an impact on my life, my identity, and my relationship with the Lord. The Lord truly has blessed the foundation of that place and I believe that it is a safe haven for so many more than me, and will continue to be so for years to come.